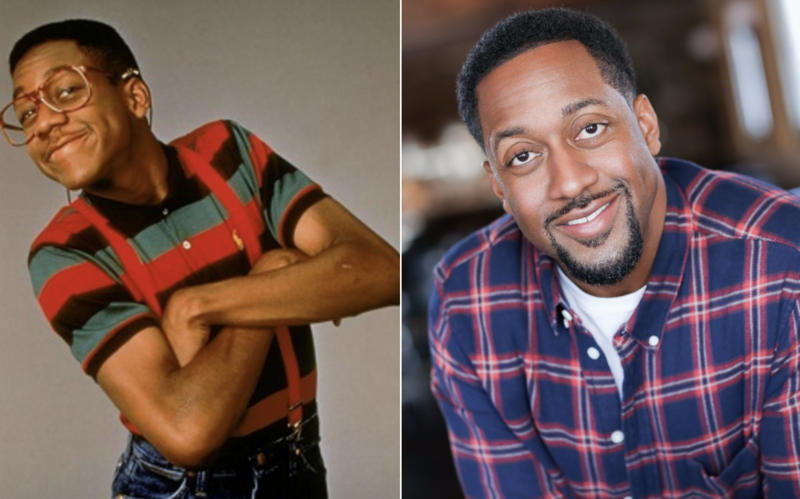 Jaleel White on new show "Me, Myself & I," growing up as Urkel and "adulting"
Jaleel White, who played Steve Urkel in "Family Matters," still hears that catchphrase nearly two decades later. White first entered show business at the ripe age of 3. He starred in commercials and landed his first television role as a guest star on "The Jeffersons." By age 12, he became the suspender-wearing, lovesick nerd next door that America fell in love with on "Family Matters," but it wasn't easy for White to be seen as Steve Urkel. In his 20s, White struggled with living in Urkel's shadow. "You get hate in this business growing up. When you're a young performer you just don't get the credit for the work that you did," White told CBS News. "And it is what it is. You can't walk around with a chip on your shoulder." Now White is ready for a new challenge with his upcoming role in the new CBS show "Me, Myself & I," a comedy about the defining moments in one man's life over three distinct periods – as a 14-year-old in 1991, at age 40 in present day and at age 65 in 2042, starring "Saturday Night Live" alum Bobby Moynihan. White plays the business partner and best friend of Moynihan's character — the "adult" in the friendship. At the age of 40, White said it's time for him to take on more of an adult role, which is also why he recently partnered with Enterprise Rent-A-Car to provide tips on "adulting." Jaleel White played "Steve Urkel" on "Family Matters" for nine seasons, starting when he was just 12 years old. Warner Bros. I heard you teamed up with Enterprise Rent-A-Car to share tips about "adulting." Why did you feel this was an important topic for you to cover? It made sense because it's something that people can easily identify with. People don't necessarily identify me with doing adult things. I'm a dad. I have a daughter turning 8. We go on trips and I rent cars all the time. This message is really to tell people to call their insurance agent to make sure that they're covered for rental car reimbursement should they get into an accident. A lot of people just make the assumption that they're going to get a free rental car for the next two weeks. Speaking of "adulting," you basically started your career at the age of 3. Did being in the spotlight at an early age force you to grow up? Definitely. It forces you to embrace professionalism at an oddly young age. But it also gives you a very distorted perspective of human nature, adult life and what's expected of you. I've learned everything that you've learned, I would like to think — but completely out of order. Now knowing what you know, what advice would you give young people today that you wish you would have known yourself when you were a teen? Don't let texting stifle your own growth. Even with the young lady that I date. We have a rule. When we start typing those novels — knock it off. If you have to go back and spell-check the text you're about to send, you're saying too much. You're going to star in a new CBS comedy "Me, Myself and I." Tell me a little bit about your character. How is he different from the people you've played in the past? I like this character a lot. My character is supposed to be the "adult" in my relationship with Bobby Moynihan. [Moynihan's character's] life hits absolute rock bottom. I am essentially by Bobby's side. He's living in my garage as a struggling inventor and raising his 8-year-old daughter in a co-parenting arrangement. You've appeared in dozens of TV shows and movies — was there ever a time you felt particularly challenged by a role? I still feel like some of the performances that I gave back then playing two characters in the same scene opposite myself — Steve and Stefan — were some of the greatest challenges acting-wise that I faced. Drama came naturally to me, and when I say that, I'm not tooting my own horn. I just think it's easier to go from comedy to drama than it is to go from drama to comedy. Sitcom is still cool, but for the most part, people want to see their comedy like movies now. "Family Matters" ran for nine seasons, and you started filming when you were 12. What was it like growing up being labeled as "Steve Urkel," and how did you transition out of that role? It wasn't easy when I got to college, because that's where every kid feels like they've reached their peak of cool. My work that I had done was being appreciated by a younger generation and the kids that actually grew up with me were into Chris Tucker movies and Tupac. People don't realize I'm very much [part of the] Biggie-Tupac generation. I have very fond memories myself of that time period that they just wouldn't identify me being a part of. That was probably my toughest period, my early 20s trying to fit in. It's been nearly 20 years since "Family Matters" ended. Do you think you'll always be somewhat of a Steve Urkel to people? To a certain generation, you'll always be one thing. My daughter could care less about what I've done. It's so funny. My mom's tried to introduce her to episodes and she giggles, but then she goes right back to YouTube. What excites me most about "Me, Myself and I" is I think it could be a "Wonder Years," "Malcolm in the Middle" for her generation if we do our job right. Would you ever be open to a "Family Matters" reunion and putting those suspenders back on? That's completely up to Warner Bros. But think about it. We didn't end up on Netflix. We ended up on Hulu. That can kind of give you a hint on what progress has or has not been made there. That's why I just feel great that they saw fit to put me in this and give me a chance to do something that feels current. "Me, Myself & I" premieres on Sept. 25 at 9:30 p.m. ET on CBS.